After a long battle of wills the Kingfisher Elfins pretended to go to sleep on Friday evening while planning their daring raid on the foodstore. Once worn out leaders and parents made their way to bed, the naughty Elfins snuck down stairs and helped themselves to apples, chocholate spread, sugar and other goodies. The incident was only discovered the next morning when bemused leaders could not find the sugar to go on their cereal! 17 parents and Elfins were on a weekend at the National Trust Big Mose Basecamp on the 2nd - 4th March 2012. The weekend was a great success with our young members enjoying hunting werewolves in the secret garden, swinging on a rope swing, games in the wood and two films (oh and the best cake ever - a chocolate Woodcraft cake baked by Aidan - yummmmmmy). After once being rained off, about 30 Kingfisher Elfins and Howler Monkey Pioneers finally got to do the Leckhampton Hill walk last Sunday (13th May 2012). And what a fabulous day it turned out to be. There were lots of very tired legs after the 5 miles on the beautiful Cotswold escarpment. 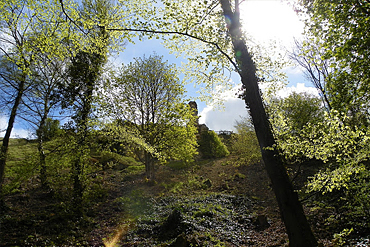 Apart from a very welcome sunny day with blue skies the highlights were parachute games at Hartly Bottom and the discovery of an abandoned treehouse by Seven Springs. 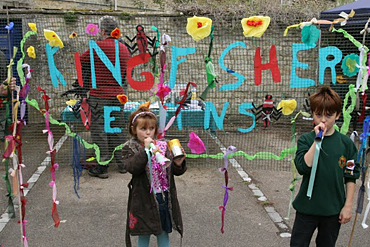 At this time every year Kingfisher Elfins join other Woodcraft Folk groups from the locality in Burford for a day of fun and games. 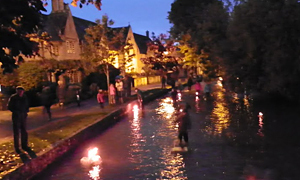 This year included Woodcraft Folk from Oxford, Banbury, Gloucester and Cheltenham. The purpose is to be a part of the Levellers Day celebrations that are held in Burford at the same time. The day is a commemoration of three soldiers shot by firing squad outside Burford Church by Oliver Cromwell on the 17th May 1649. The soldiers belonged to the Levellers, an early ‘socialist’ political party that shared many of the ideals held by the Woodcraft Folk, democracy, freedom of speech, the need for decent health care and housing etc. The Levellers organised a rebellion within Oliver’s Army and three soldiers, Cornet Thompson, Corporal Church and Private Perkins were considered the leaders and paid the ultimate price. The day includes Woodcraft fun in the recreation park at the top of Burford and the groups joining the parade organised by the Workers Education Association through the town centre in the middle of the day - and for years the Woodcraft Folk have been the loudest and most colourful part of that parade. An unsual element of competition slipped into our joint Elfin and Pioneer den building evening as our Dads turned out in force (on Monday 28th May 12)! 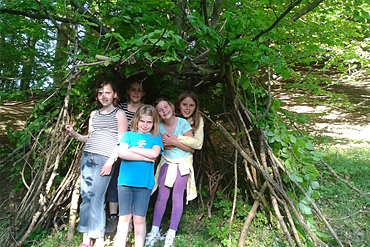 Four excellent dens were produced as a result. Each was tested to see if they were waterproof - but rumour has it that all the children got a soaking! You out the quality of the structures by clicking on the image. Click on the picture for some fab pics of boats of all shapes and sizes, action shots from the river and a lot of wet children from our 2012 outing. With real good humour our Elfins were treated to a very entertaining evening by Thomas Trilby (www.thomastrilby.co.uk). 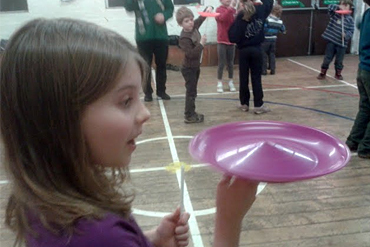 We managed juggling with two bean bags, tried Diablo, unicycle, peddles, spin the plate, toss the hat and hoopla. 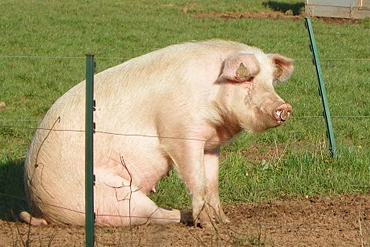 The big disappointment for me? Thomas Trilby forgot the human cannon! Cheltenham's Charity Bring and Buy sale proved to be a triumph in democracy as well as a record breaking money raising evening. Members of Kingfisher Elfins joined forces with the Howler Monkey Pioneers for the big sale. Cupboards, drawers and that space under the beds were emptied of unused toys, games and books. Piggy banks and parent's purses were emptied of change. It all came together on the evening to raise a massive £97 for charity. But that is only half the story. As well as raising money our young members then decided which charity they wanted to support. 21 different charities were nominated during our news circle at the start of the evening, with young members explaining what their favourite charity does and why they wanted to support it. After the table top sale the young members voted to support two charities, one oversees charity and one local charity. Votes were then held to decide which charities would receive a cheque from the group. And the winners? - we decided half should go to CADCAF, a local charity, nominated by Harry, that provides support to families with special needs children. The other half is to go to Gua Africa, a charity set up to support children, young people and families overcome the effects of war and poverty in Africa, nominated by Alex and Dave. 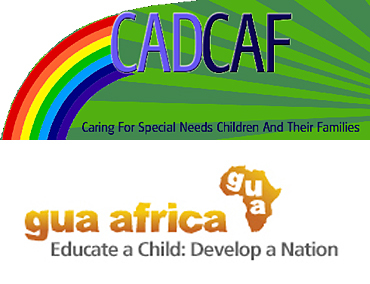 You can find out more about Gua Africa through:- www.gua-africa.org. Well done to all who took part, it was a great effort.